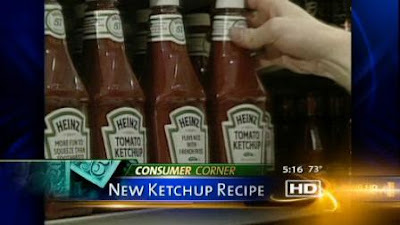 Heinz says it is also working on a ketchup made with sugar instead of high fructose corn syrup. Heinz is giving its ketchup recipe a makeover. The new batches of ketchup will have less salt. Company officials say the 15 percent cut in sodium is the first significant change in its recipe in nearly 40 years.